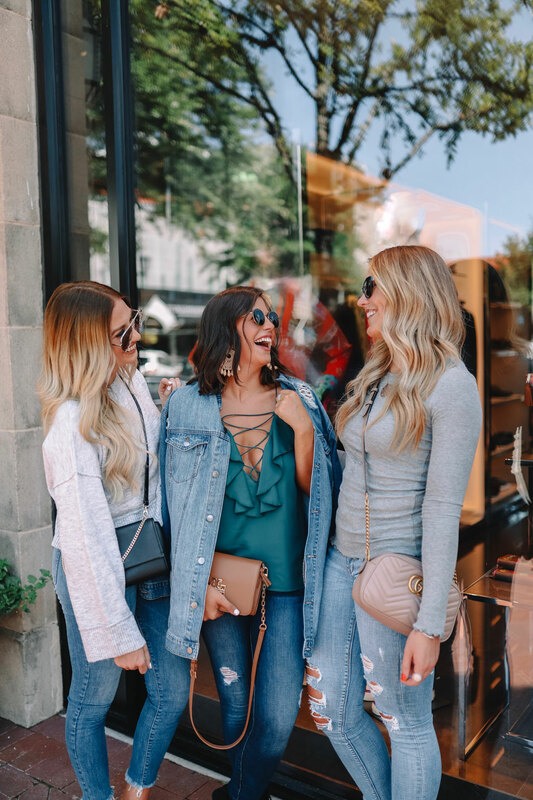 I got to road trip to Dallas a few days back with two of my favorite OKC blogger babes, Ashley and Courtney (plus we met up with the sweetest Dallas blogger, Hannah) to shop the Nordstrom Anniversary Sale in person! We don't have a Nordstrom in Oklahoma - it is truly a tragedy but probably a good thing for my wallet - and Dallas is the closest location. It made for such a fun girl's day. Even though most of the items I was hoping to try on were already sold out, we still had a blast and found some really great deals! You can view my dressing room diaries post here. After shopping our booties off, we ate a delicious lunch at Bird Bakery in Highland Park and squeezed in a quick photo shoot before heading home. Let me tell you, shooting fall looks in the middle of a Texas July day is terrrrrribbbblllleee. We got a lot of weird looks and multiple comments but I just love how the photos turned out. Hopefully these outfits give you a little bit of N-Sale inspo - most everything in this post is still in stock (at least it is as a I type this)! 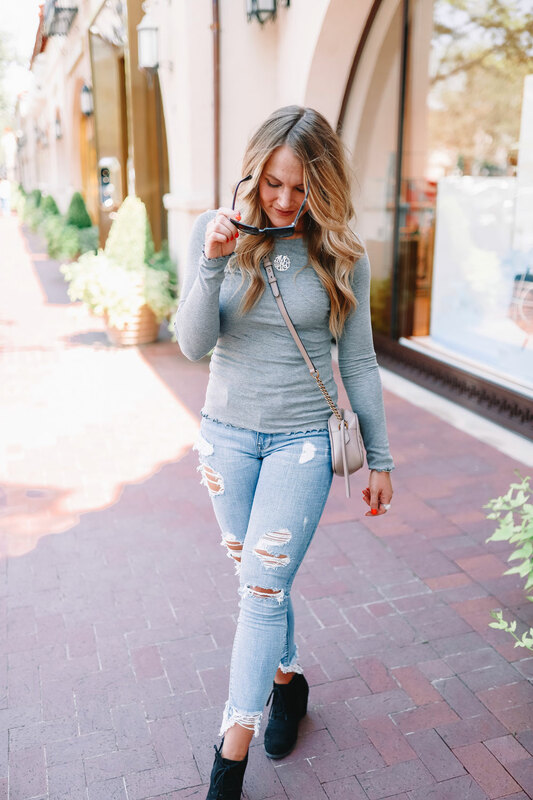 This might be my favorite outfit from the entire Nordstrom Anniversary sale! I definitely grabbed these cropped trousers after I saw them on Courtney. Twinning! I have already worn them to work and got so many compliments. I think they would look cute with a blazer, a cardi, a bright colored cop top, a twist front crop.....the options are endless! They are really comfortable, too, with a little bit of stretch to them. They fit true to size and I think they are super flattering. I borrowed these slides from Ashley, but I am totally crushing on the snake skin version! Love! They fit true to size. I don't know why this top hasn't been more popular during the N-Sale this year. I think it is so cute and its only $30! 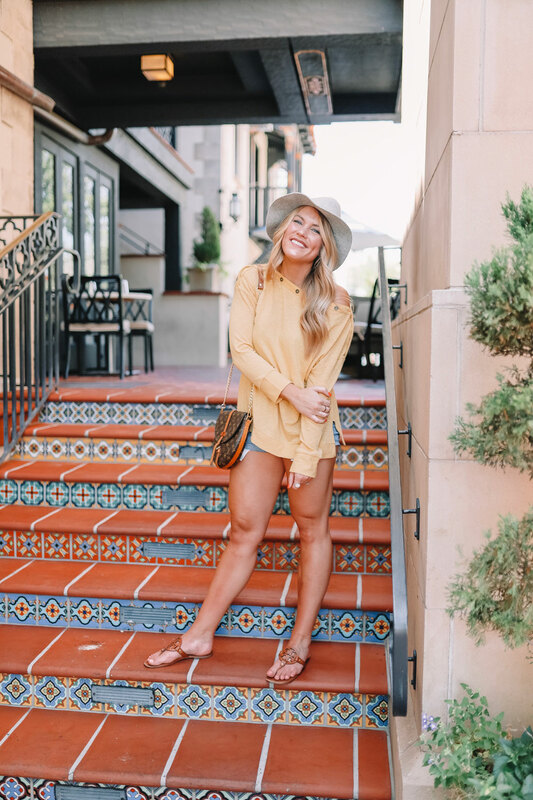 It is oversized - perfect for a casual day where you still want to look cute and put together. Plus, who isn't crushing on yellow this season?!! The button details give it just enough "oomph" to be different. 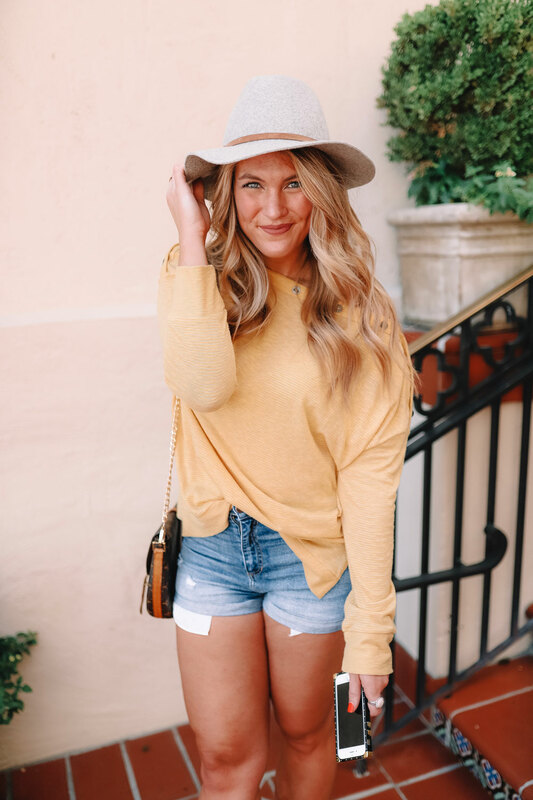 I am a sucker for pairing long sleeves and shorts together, so I think this will be a go-to fall transition outfit for me. P.S. Please ignore the "natural dewey look" on my face (aka sweat) and the terrible peeling sunburn on my leg.......PSA, self tanner on top of peeling skin is not a good idea, ha! 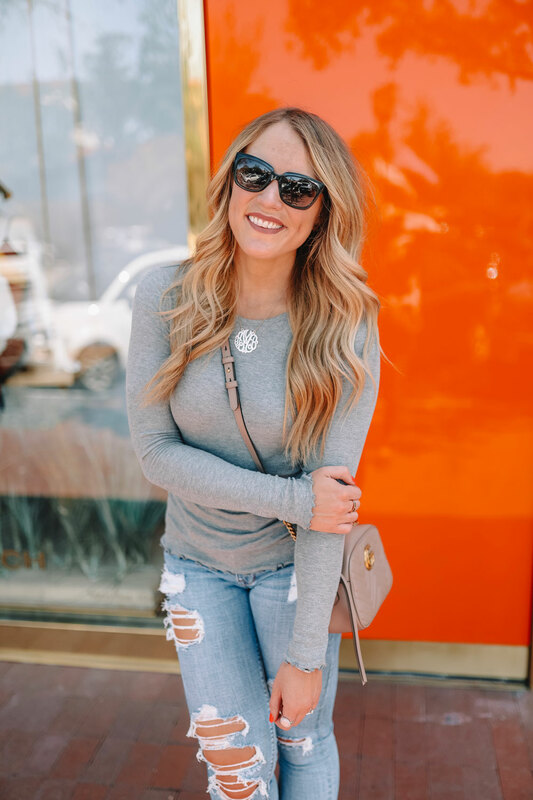 This top is such a good basic and only $32! You could wear it SO many different ways: under a moto jacket, under a vest, with a scarf, with a high waisted skirt or pants, etc. etc. etc. It comes in a ton of colors and is really soft and stretchy. I know I'll be getting a TON of wear out of it. It fits true to size but it is very fitted, so if you want a looser fit I would size up. The N-Sale is open to the public now so shop shop shop till ya drop! They just restocked a LOT but things will sell out again quickly. You can view all of my N-Sale posts here and my roundup of wishlist items here. What do you guys have going on this weekend? We are spending some time by the pool, celebrating my sister-in-law's birthday (with chocolate cake!) and going to a wedding in Tulsa. Busy, but fun! Whatever you're up to I hope its a great weekend all around. Thanks for reading and happy N-Sale shopping! Let me know what items you snagged in the comments.